Review: Cress by Marissa Meyer - Scott Reads It! Enter to win an ARC of Cress at Scott Reads It! Cress was one of my most anticipated books of 2014 and so, I did a gleeful dance when it arrived in the mail. I really didn't know how Meyer could top the absolutely amazing Cinder and Scarlet, both of which are two of my all-time favorite books. Cress is definitely Marissa Meyer's best book to date and it upsets me how there is only one more book left in this series (Winter). Cress, the titular character is probably my favorite character from The Lunar Chronicles at the moment. Cress is nothing like Cinder or Scarlet: she's much more awkward, insecure, and introverted than the two aforementioned characters. Cress has a completely different character than most characters you see in YA; it's rare to see a main character in YA who is extremely reserved and much rather spend time with technology. Not to mention the fact that Cress is a total fangirl for Thorne and she is so freaking adorable! Cress is a much longer novel than both Cinder and Scarlet which worried me slightly because I don't have the longest attention span. While reading Cress, I didn't feel like I was reading a book that is nearly 600 pages because I couldn't stop reading. The entire novel moves at a lightening fast speed and there aren't any slow-paced sections in Cress. Marissa Meyer's creative world-building, witty dialogue and extremely lovable characters easily secure Cress a spot on my "Favorites" shelf. The romance in Cress is beyond amazing and it's just what fans have been waiting for! In Scarlet, I was disappointed with the lack of Cinder-Kai interactions and I missed everyone's favorite Prince. There is so much more of a focus on Kai in Cress and I loved watching him respond to the entire Levana crisis. I also was a huge fan of Scarlet and Wolf's relationship in Cress and I really hope those two get the happy ending they deserve in Cress. 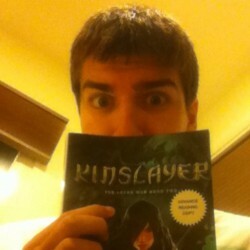 In addition, I was really impressed with the way that Meyer handled the Cress-Thorne romance angle. I really loved seeing Cress's obsession with Thorne turn into a budding romance. My love for Cress is absolutely boundless and I am extremely obsessed with this book! Despite the fact that my "to-read" pile is mountainous, I loved Cress so much that I'm thinking of re-reading it soon. Cress is another mesmerizing installment in The Lunar Chronicles and it's heartbreaking that I have to wait so long to read Winter. 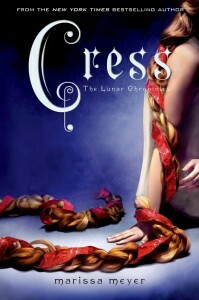 Cress is one of the best books I've read this year by far, Marissa Meyer outdid herself once again!